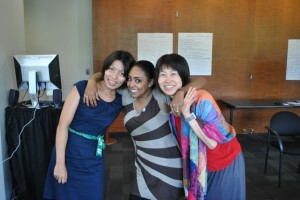 The TOMODACHI Atlas Corps Fellows Program engages three (3) Japanese women civil society professionals in 12 months of service at organizations in the United States to develop their leadership capacity and foster the emergence of an effective Japanese civil society that is integrated with the global nonprofit sector. This unique collaboration between the TOMODACHI Initiative and Atlas Corps is aimed at engaging these leaders at organizations to learn best practices, build organizational capacity, bring this knowledge back to Japan, and to connect them with the greater Atlas Corps community of more than 150 Fellows from throughout the world. In addition, Fellows supplement daily knowledge with topics presented in the Atlas Corps Global Leadership Lab and networking with leaders from around the world. 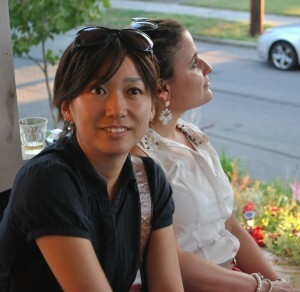 The two current TOMODACHI Atlas Corps Fellows (2013-2014) serve full-time at host organization, GlobalGiving Foundation. Mari has over two years of experience in non-profit sector. She earned a Bachelor’s of Arts in Political Science from Keio University in Tokyo, and a Master’s of Arts in International Trade and Investment Policy concentrating in Development Economics from the Elliott School of International Affairs at The George Washington University. Her interest in international development began when she experienced first-hand the financial default in Argentina in 2001. Since then, she became interested in development that really works for poverty alleviation. After starting her graduate studies in 2011, she joined GlobalGiving Foundation as a Project Intern. At GlobalGiving Foundation, she successfully led two fundraising campaigns for 16 partnering organizations working for disaster relief in Japan, raising almost $200,000 from 1200 individual donors. In addition, she served as an In-the-Field representative for GlobalGiving Foundation in China. She travelled throughout the country to conduct site evaluations, provide advice on online fundraising to local partners, and recruit potential partners for GlobalGiving. Mari’s special areas of interests are social entrepreneurship, crowd funding, and economic empowerment. Mari serves at the intersection of their nonprofit partnership team and business development teams to help nonprofits that are referred by our corporate donors have a better experience on GlobalGiving. She leads the Microsoft Give for Youth program and is assisting with developing additional corporate partnerships. Mari is translating the skill she gained in “grassroots” organizations into the corporate social responsibility framework—experiencing the business side of philanthropy. Currently, Mari is traveling in Guatemala participating in GlobalGiving project site visits. Moeko has three years of experience in the nonprofit sector, and earned two Master’s degrees in International Peace and Conflict Resolution from Arcadia University in the U.S. and in Development Economics and International Cooperation from University of Rome Tor Vergata in Italy. In the summer of 2013, Moeko worked as a UN intern at the International Fund for Agricultural Development (IFAD). She enhanced the quality of IFAD’s future development projects through assessing the economic and financial analysis of its project design documents. Though this experience, she gained knowledge of some ways of the application of development economics. Her great interest lies in social and economic development including sustainability, inclusive growth, and governance, as well as conflict resolution, having gained substantial theoretical insights in academic trainings. She enjoys Argentine Tango dancing – as it is physically and mentally healthy exercise, and the tango communities elsewhere often reflect the nature of local society in terms of human interaction and values, which enriches her insights on world affairs. Moeko is the point person for the GlobalGiving’s In-the-Field program, which trains travelers to visit GlobalGiving partner organizations, conduct simple evaluations, and lead workshops for new organizations. Moeko sees this role as the comprehensive usage of her spectrum of professional skills. Similar to Mari, she has translated her “grassroots” background into the next level, which are skills she will be able to apply and share in Japan. Currently, Moeko is traveling in South Africa to visit GlobalGiving projects. Engaged Four Japanese Fellows—Atlas Corps engaged four Fellows (Mari Seto, Moeko Shinohara, Tomoko Yamashita, and Kunihiro Shimoji) from Japan in September 2013, exceeding the goal of three Fellows. Featured in International Gatherings—Mari participated in the Social Good Summit (New York) as part of first group of Atlas Corps Diaspora Bloggers. Her role was to share conference highlights on Japanese social media.